Theatre Tots started Saturday morning drama sessions at the Broadway Theatre in September 2018. For ages 3 –11. All age groups will work towards an end of term show in the Studio Theatre. Theatre Seekers create their own stories and songs. As well as the end of term show, this comes home as a book for them to keep and cherish. 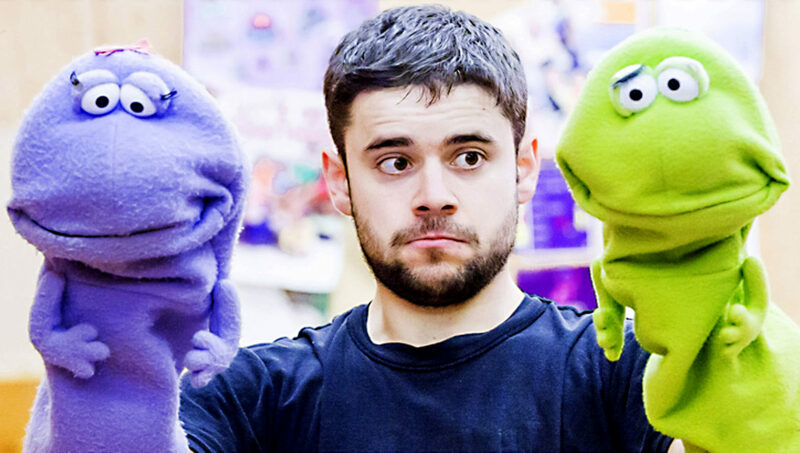 Theatre Tots Ltd produces workshops, shows and books for early years’ children and their grown up friends, family and teachers. We started in 2008 in south east London and are now very proud to see our curriculum and shows around the world. Theatre Tots also takes commissions from museums to enable families with younger children to engage with the history or culture and runs a Story Seekers programme for children over 5. Everything we do is interactive and includes original music. Mostly because we love it. And we passionately believe drama and creativity in general is a vital part of any child’s life. The imagination is one of our most valuable assets. It’s unique to us, free and boundless. It helps us to create and understand worlds and people beyond our own realities. It starts with our everyday surroundings, events and objects. Exploring our imaginations doesn’t need to be expensive or complicated. Drama skills don’t need to lead to being a Hollywood star. Heightened imagination skills at an early age lead to flexible thinkers and good problem solving skills, important life lessons for anyone. We are passionate about finding the ‘imagination in the everyday’ and the process, rather than the product, of drama work. We seek to transform anything into everything, promoting confident, creative and flexible young minds. Performance is brilliant too but not at the sacrifice of process. We are very proud of the originality of our work. Everything we do is written by us and developed ‘on the ground’ with little people. Theatre Tots has published 6 books and CDs that are available for purchase.